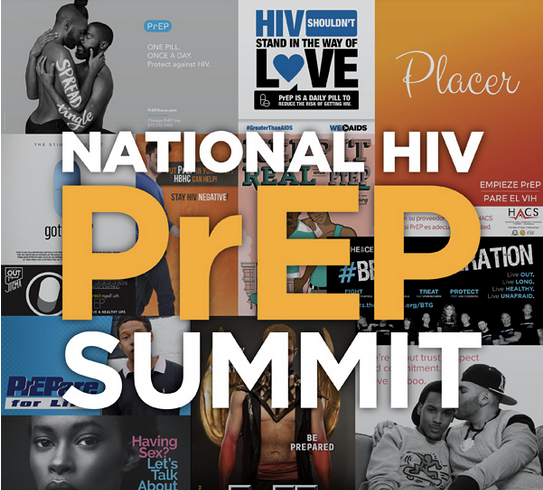 As word of the first ever National HIV PrEP Summit spread, HIVE immediately began preparing ourselves for this historic moment in HIV Prevention in the United States, and to host YOU amazing people. Excited to have the PrEP Summit in our beloved San Francisco, we wanted to welcome our PrEP for women colleagues and allies from around the country. 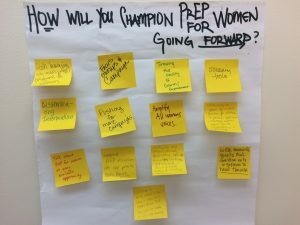 Together with Project Inform, AIDS Foundation Chicago, and the U.S. Women and PrEP Working Group, HIVE hosted a PrEP for Women Pre-Summit Dinner on December 2. Colleagues attending the PrEP Summit, as well as key Bay Area stakeholders, came to the dinner. What a thrill to see your faces and become better acquainted with the names and allies we know well from online or e-mail. Bringing these connections face to face deepened our commitment to you and to this work. At the PrEP for Women dinner we launched the curated web page with women-centric PrEP resources, a crowd-sourced effort from allies across the U.S. Palm cards promoted the web page (we have extra; reach out if you want some to share locally!) 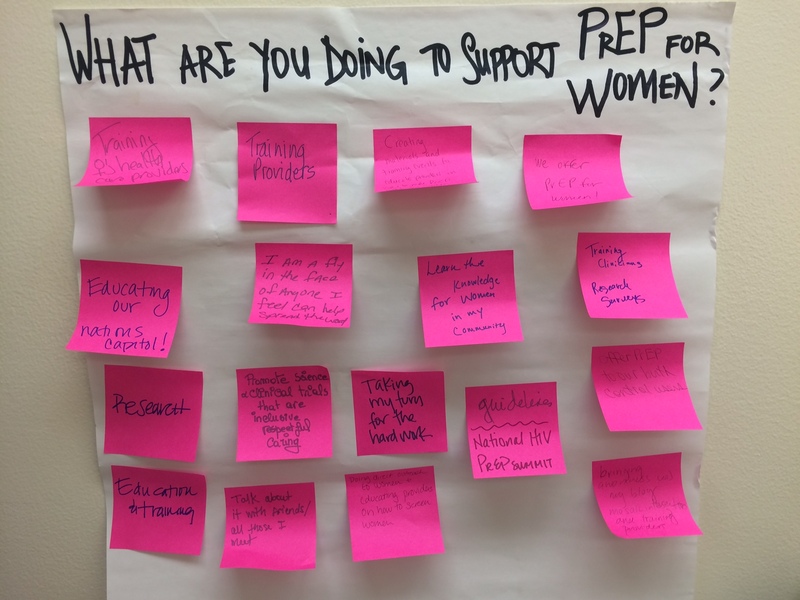 and provided opportunities to bring women into the mainstream PrEP Summit conversations. We also screened the newly released #20DaystoStart PrEP for Women video from Project Inform. The video was celebrated with thunderous applause. We came together over a meal to celebrate each other’s work supporting PrEP for women, and to ask ourselves: How will we champion PrEP for women going forward? What are you doing to support PrEP for Women? 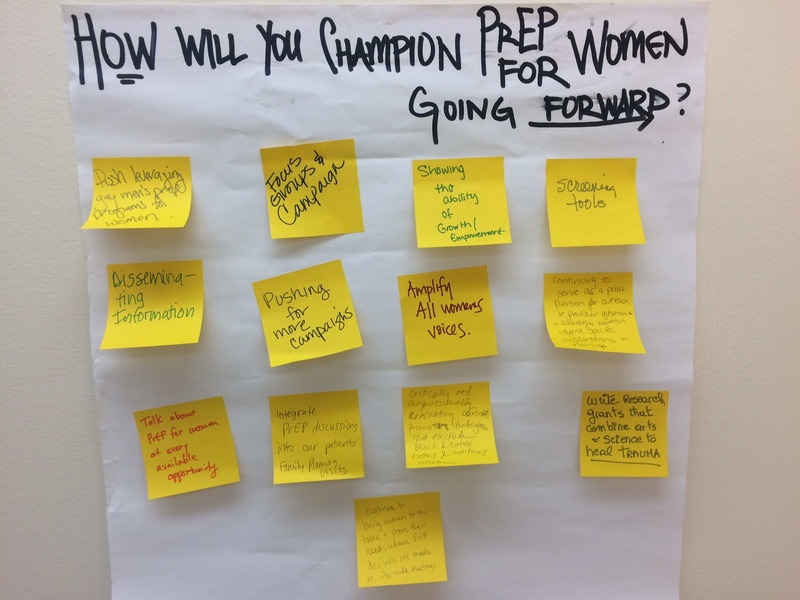 How will you champion PrEP for women going forward? Promote science and clinical trials that are inclusive, respectful, caring Continuing to serve as a point person for outreach, provider questions, always mentioning vaginia-specific considerations in trainings. Offer PrEP to our birth control users Screening tools. Bringing awareness via my blog, mosaic intersections, and training providers Critically and compassionately evaluating current promotion strategies that exclude Black, Latinx, trans & non trans women. 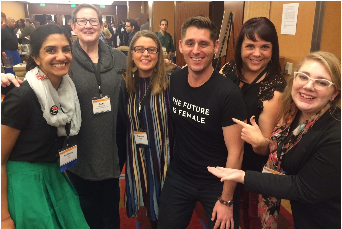 We harnessed the powerful, fierce, committed feminine energy as we went into the PrEP Summit. We aimed to amplify women’s voices, ask questions and push the conversation around PrEP for Women. For more, check out our live Tweets using #WheresMyPrEP. The PrEP Summit featured speakers who identified as women, trans folk, and people of color. Attendees seemed to reflect these demographics as well. Youth were given a literal and figurative platform on which to speak, and were finally treated as experts in their own health and rights. From the circular plenary stage to the intimate breakout sessions, the Summit felt more like a two-day conversation than a research conference – although many sessions were data- and research-driven. HIVE team members presented on four topics. Click the links below to download session slides. “Offering PrEP in a Hospital-Based Reproductive Health Clinic” Session: HIV PrEP Implementation Models – Expanding Access to Priority Populations. Presenter: Karishma Oza. “Safer Conception: What’s PrEP Got to Do with It?” Session: Here and Now: The State of PrEP Access and Uptake in Distinct Populations. Presenter: Yamini Oseguera-Bhatnagar. “Trust Women: Offering PrEP to Family Planning Clients” Session: Here and Now: The State of PrEP Access and Uptake in Distinct Populations. Presenter: Dominika Seidman. “Collective Impact & PrEP Implementation” Session: Who’s at Your Table: A Collective Impact Approach to PrEP Planning. Presenter: Shannon Weber. 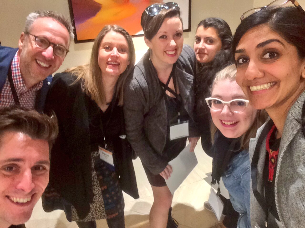 Dr. Dominika Seidman (second from left) and Yamini Oseguera-Bhatnagar (third from left) among “Here and Now: The State of PrEP Access and Uptake in Distinct Populations” panelists. 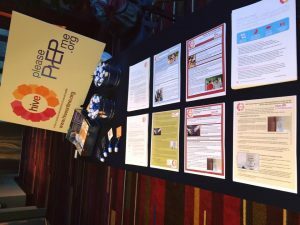 Our team hosted a resource table featuring HIVE printable resources and palm cards, and PleasePrEPMe.org pill key chains. We distributed hundreds of our resources, while making connections with old friends and new in the HIV prevention world. Did we connect with you at the Summit? Shout out to Valerie Rochester (Black Women’s Health Initiative), Ken Like Barbie and Damon L. Jacobs, and Nala Simone-Toussaint (Callen-Lorde Community Health Center) for going Live on Facebook with us. Have you shared our resources or palm cards with your team? Do you have any feedback for us? We would love to hear from you (contact@HIVEonline.org)! As the dust settles on the Summit, we are grateful for those of you who are beacons of light for women across the country. Toward the inclusion of women in the HIV PrEP conversation! 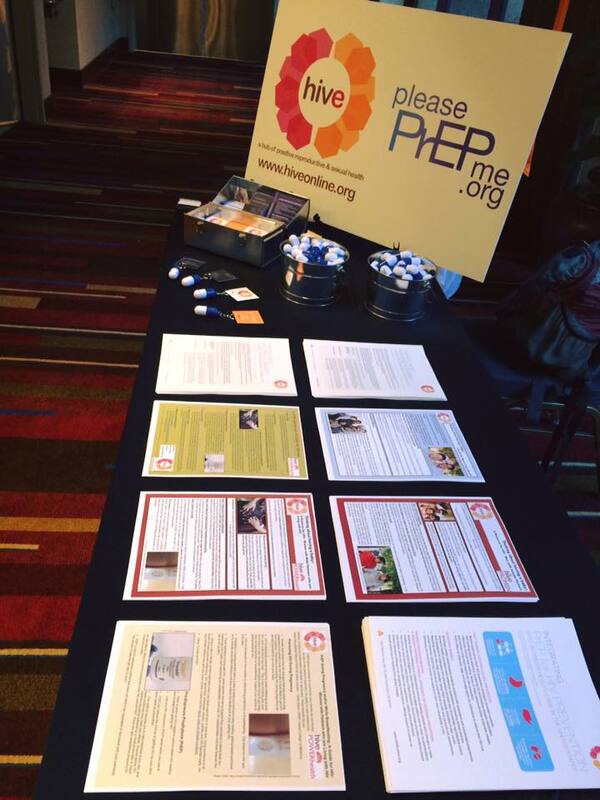 The HIVE and PleasePrEPMe.org resource table featuring printable resources, palm cards, and pill key chains. Friends of HIVE were out in droves at the NMAC PrEP Summit. Caroline Watson talks with Ken Like Barbie and Damon L. Jacobs about PrEP and their takeaways from NHPS. 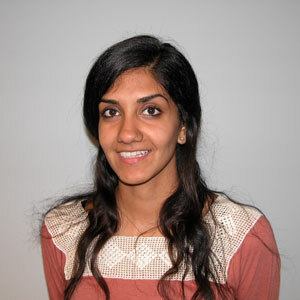 Karishma Oza is the HIVE Program Coordinator based at San Francisco General Hospital. Her passions include: reproductive health and rights, HIV treatment and prevention, health equity, and increasing access to care globally. In her free time, she enjoys hiking, gardening, cooking, biking, volunteering, traveling, potluck dinner parties, listening to people’s life stories, and learning new languages. Follow her on Twitter: @karishma_oza. Hi there! I can’t get the slides to download from Dominika Seidman’s presentation on “Trust Women: Offering PrEP to Family Planning Clients”. It sends me a different slide deck. I also fixed it in the actual post.